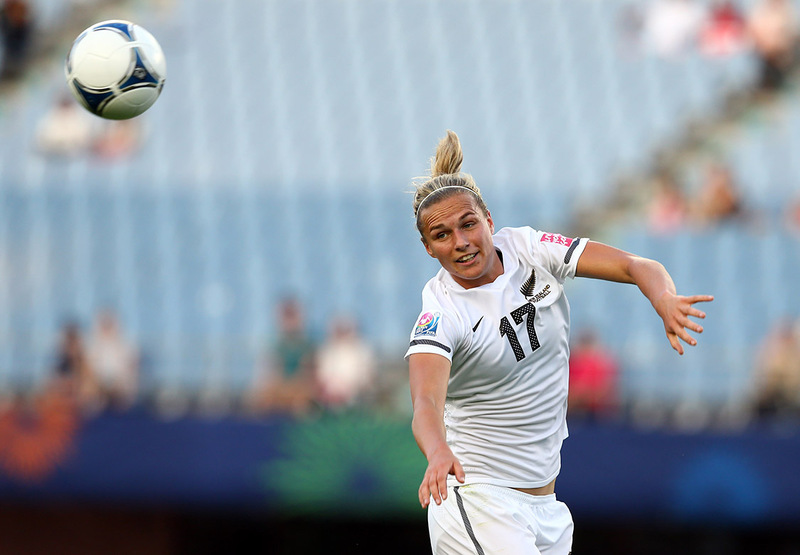 A second half fightback from New Zealand’s Football Ferns was in vain as they fell to a 3-1 defeat to USA in Commerce City, Colorado on Friday (local time). Two well-taken goals from midfielder Julie Ertz had the reigning World Champions comfortably in front 24 minutes into the match and left the visitors with a mountain to climb in Colorado. Ertz hammered her first into the top corner from close range in the 16th minute after Kelley O’Hara’s lofted ball was headed down for her and notched her second eight minutes later when Mallory Pugh’s header bounced back off the post and she met it with a thunderous volley. Despite the setback, New Zealand continued to trade blows with their more fancied hosts as they had before falling behind but without reward before halftime. Building on a strong finish to the first half, New Zealand finally capitalised on their firmer foothold midway through the second spell, as Hannah Wilkinson got on the end of a dipping Ali Riley cross on the bounce to halve the deficit. The goal was just reward for a second half showing that brought more possession and attacking threat with chances to Rosie White and Wilkinson and the hosts sitting on their lead, although the Ferns did require a sharp save from goalkeeper Erin Naylor at 0-2 down to keep them in the game. Wilkinson’s goal seemed to have turned the tide of the match but it took Alex Morgan just four minutes to snuff out any hopes of New Zealand claiming even a share of spoils with a sensational strike for USA’s third with 11 minutes to go. New Zealand coach Tony Readings praised his side’s performance especially after falling two goals behind. “Obviously, we never want to lose football matches but if you do lose them you want to put in a performance you can be proud of. We’re really proud of the way the players played today. Playing against the world’s best team away from home in front of a sell-out crowd with minimal preparation. I don’t think we could’ve asked for anything more,” Readings said. The match, in front of a healthy crowd of 18,000 at Dicks Sporting Goods Park saw a pair of milestones for New Zealand midfielders Annalie Longo and Betsy Hassett who each earned their 100th cap for their country. New Zealand travel to Cincinnati in Sunday (NZT) for the second match of the two-game series at Nippert Stadium on Wednesday 20 September (NZT).